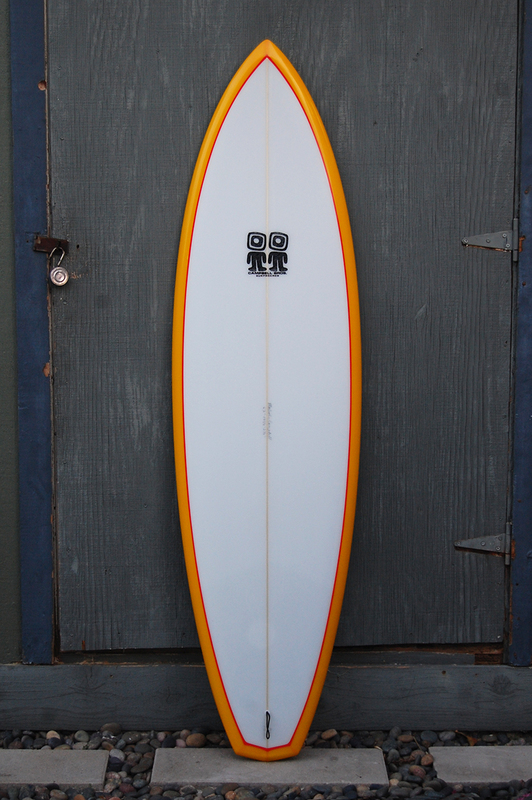 This was our most popular Bonzer shape during the mid to late 70’s. 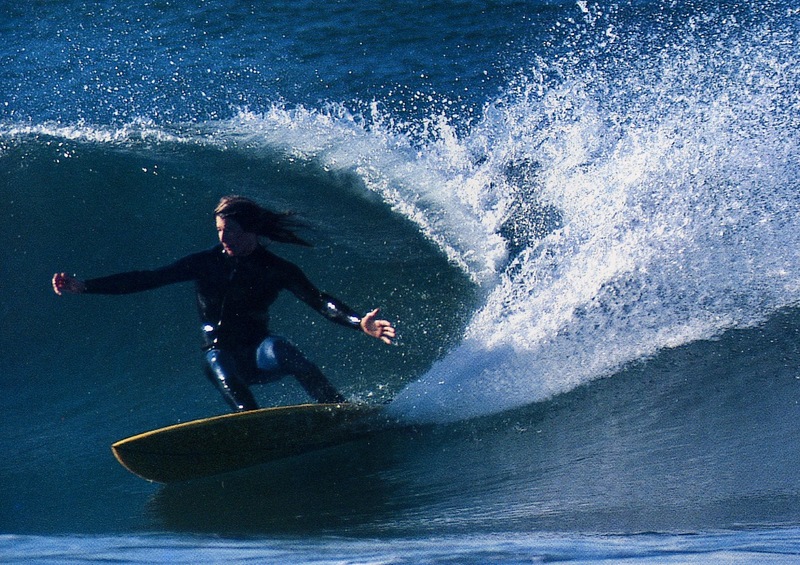 Russ Short, Duncan, Cliff Collinge and I all rode slight variations of this template during the time. 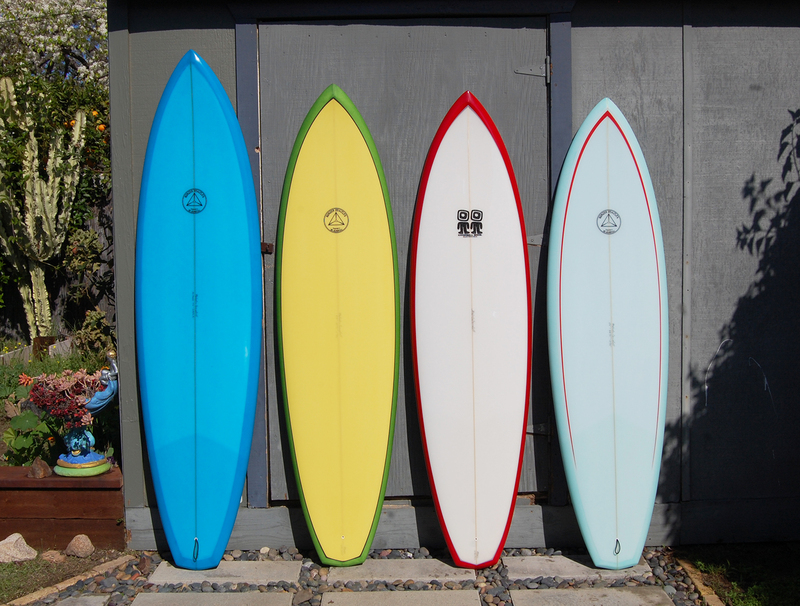 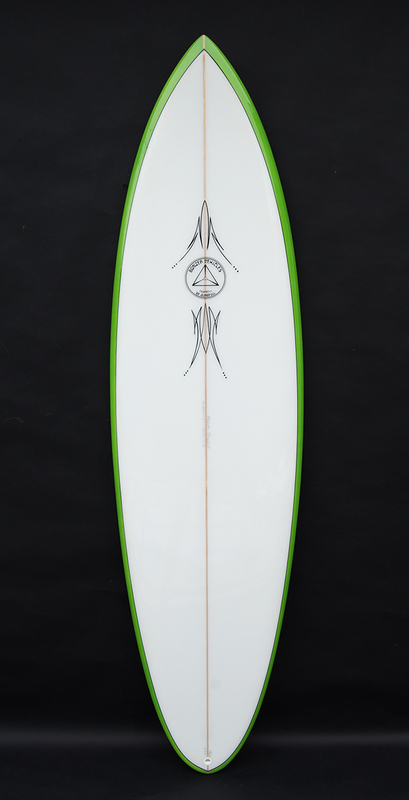 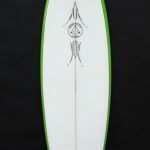 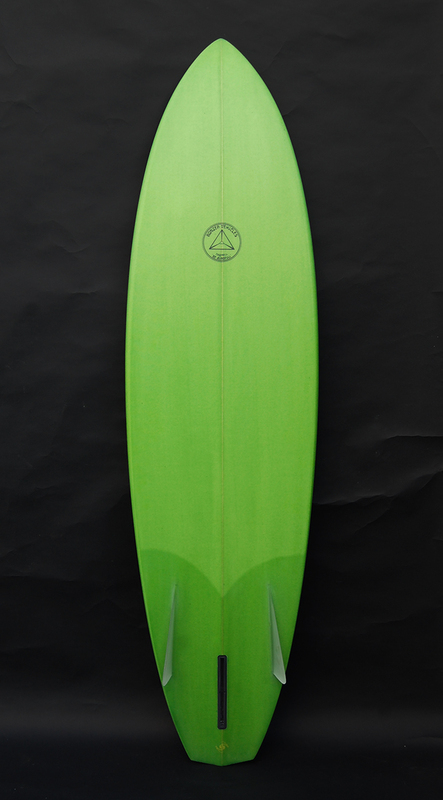 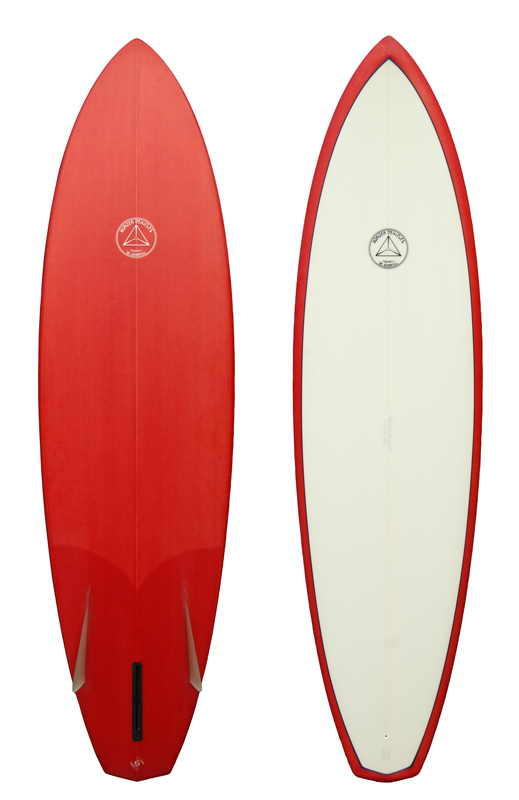 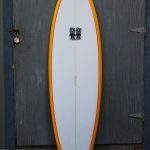 This model was pushed to the limit in all types of waves and proved to be a very versatile high performance surfboard. 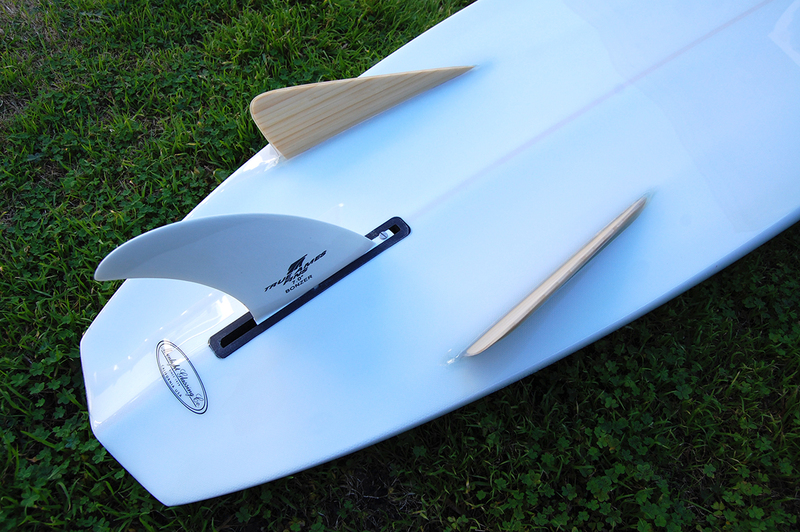 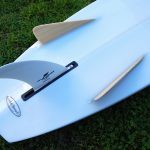 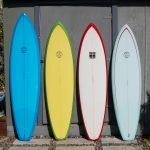 The Russ Short model is used mostly with the 3 fin set up, but can incorporate the 5 fin system as well. 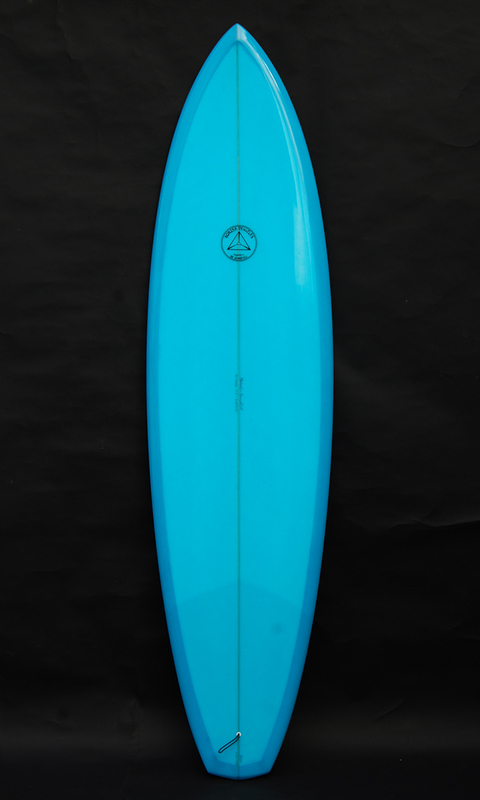 The Russ Short model works well as a diamond, round or swallow tail.